Collected, the eighth exhibition at Pier 24 Photography in San Francisco, highlights a selection of photographs from the Pilara Foundation and nine other Bay Area collections: The Bluff Collection, Susie Tompkins Buell, Winn Ellis and David Mahoney, Carla Emil, Randi and Bob Fisher, Dan Holland and Patrick Printy, Mike and Kaitlyn Krieger, Nion McEvoy, and Chara Schreyer. The collectors were invited to choose the work they wanted to show and each has a separate gallery space. Each gallery expresses the unique perspectives of the individual collectors and includes a wide variety of well-known and not-so-well known photographs and photographers. 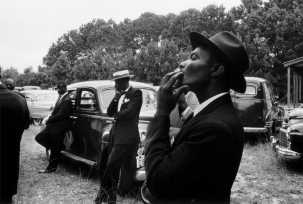 The Bluff Collection has a survey of work by Robert Frank. 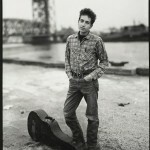 Nion McEvoy’s gallery, entitled ‘Beauty and the Beat,’ includes 100 photographs mostly related to music, from album covers to rock portraits. 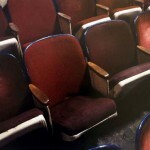 The Fishers decided to show only William Eggleston, and the Kriegers display experimental contemporary works. Susie Tompkins Buell’s gallery has an outstanding grouping of sensitive and deeply personal work by four women photographers: Consuelo Kanaga, Alma Lavenson, Dorothea Lange and Tina Modotti. None of the photographs are accompanied by titles or attributions but printed guides are available at the reception desk and there are a few docents in the galleries. You can preview the exhibition via an online version of the catalog. Andrew and Mary Pilara began collecting photography 13 years ago and have amassed over 4,000 photographs. In 2010, they leased and renovated the Pier 24 warehouse space to house their permanent collection and to present photography exhibitions and related programs to the public. 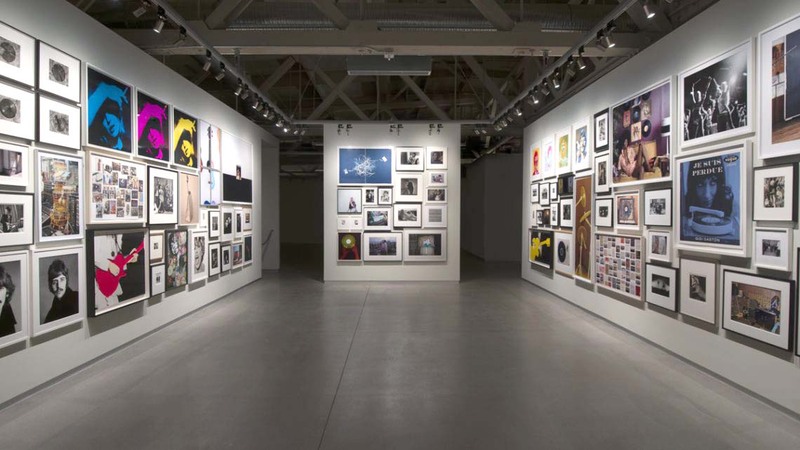 At 28,000 square feet, it is the largest space devoted solely to exhibiting photography in the world. Collected will be on view until January 31, 2017. Pier 24 Photography is located on The Embarcadero in San Francisco below the Bay Bridge and is open by appointment only. Make an appointment online, or call 415-512-7424. Admission is free, and only 30 people are admitted per 2-hour interval. This entry was posted in Galleries, Museums, Photography, Pier 24 on 07/30/2016 by Jeanie Craig. Jules Maeght, grandson of the founders of Galerie Maeght, Paris and the Fondation Maeght, Saint-Paul de Vence, opens his first gallery in Hayes Valley, San Francisco on November 14, 2014. 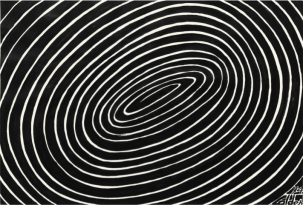 The inaugural show, “Art in Motion” (11/14/14-1/31/15), brings together works that explore kinetic art in diverse forms, including pieces by Pol Bury, Alexander Calder, Marshall Elliott, Vassily Kandinsky, Kirstie Macleod, Joan Miró, Clovis Prévost, Tracey Snelling and Kal Spelletich. The Jules Maeght Gallery is located at 149 Gough Street (at Oak) and is housed in the former studio of San Francisco’s legendary inventor and machine-maker, Rube Goldberg. Maeght is one of the great names in the history of the 20th-century art world. In 1932, Aimé Maeght and his wife, Marguerite, opened a print studio “ARTE” in the south of France, and in 1945, they opened Galerie Maeght in Paris with a show of Matisse drawings. Through the years, the Maeghts became influential and respected dealers,representing leading European Modernist artists such as Bonnard, Braque, Calder, Duchamp, Giacometti, Léger, Rouault and many others. Today, the Paris gallery is run by family members and shows modern masters as well as young artists. The Fondation Maeght in Saint-Paul de Vence, opened in 1964 by Aimé and Marguerite, is a private museum with one of the largest collections of 20th-century art in Europe. It has put on over 100 exhibitions since inception and has more than 200,000 visitors annually. The Fondation celebrated its 50th anniversary in 2014. 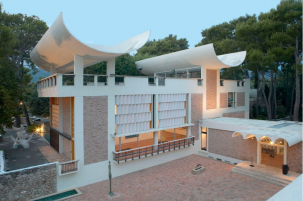 Jules, along with his partner and wife Amelie, continue the Maeght family legacy at their new gallery and will show modernist artists alongside contemporary Bay Area and international artists. For more information, call 415-549-7046 or email info@julesmaeghtgallery.com. This entry was posted in Galleries, Jules Maeght Gallery, Museums on 10/05/2014 by Jeanie Craig.